Small Monitor Riser. 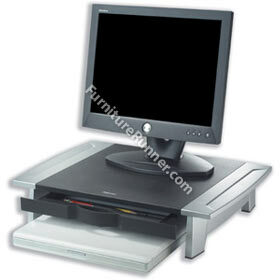 Supports large CRT or TFT monitors weighing up to 36kg. Up to 50mm of adjustable height. Stows keyboard or laptop underneath. Features storage drawer.